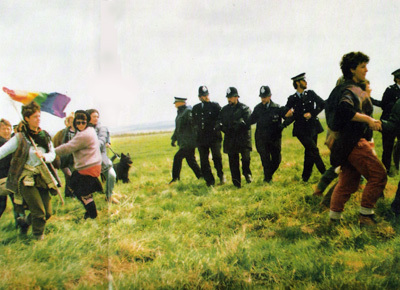 Demonstraters at Salisbury Plain, May 1, 1983. Photo: Marion Daltrop. 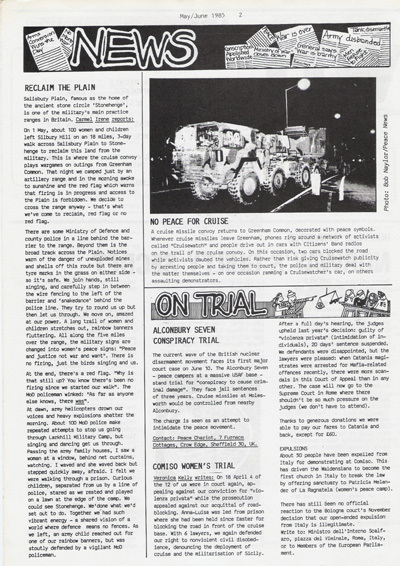 Source: Sanity, December 1985. First price: A year in the life of CND. 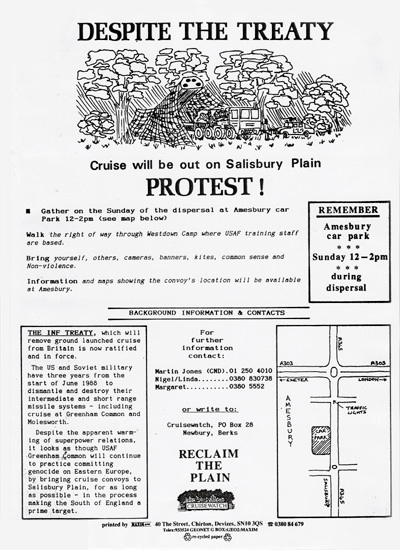 Following the Stonehenge free festival in June 1982, a" Peace convoy" of over 100 vehicles made the decision to join the women as a gesture of solidarity. The free festival proved to be a moveable feast, establishing itself wherever its participants were - much to the consternation of the authorities. 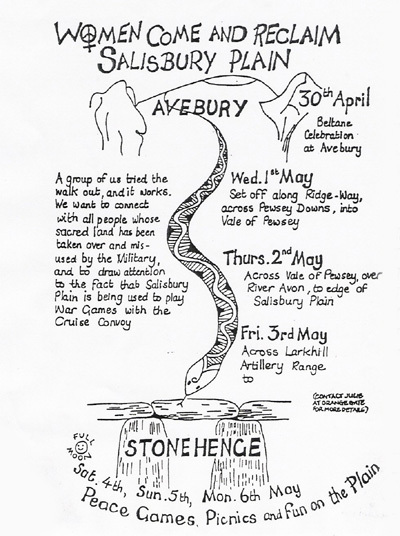 Source: Greenham Common Peace Camp : The Free Festivals and the saga of the Peace Convoy, 1981-1982. [Carmel, Irene: Reclaim the plain.